Democratic Congressional candidate Chrissy Houlahan is continuing to build her support from Democrats in Pennsylvania, announcing endorsements from Congressmen Brendan Boyle (D-Philadelphia), Matt Cartwright (D-Lackawanna), and Dwight Evans (D-Philadelphia). Boyle noted Houlahan’s business background and its effects on Pennsylvania. “Throughout her career, Chrissy Houlahan has shown her commitment to creating good paying jobs for middle class families here in Southeastern Pennsylvania. She has built three small businesses that employ hundreds of people here in Pennsylvania,” Boyle said in a release. Cartwright pointed to Houlahan’s military service as well as her business experience. 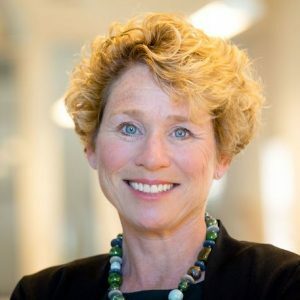 “From her service as a Captain in the Air Force to her experience building and scaling three small businesses in Pennsylvania to her time educating our children, Chrissy has the real world experience we need in Congress to cut through the partisan gridlock and make sure the interests of Pennsylvania families are represented in Washington,” Cartwright said. “Chrissy has the real world experience and will put our families and children first. Our commonwealth and nation need her leadership and I would be honored to work with her in Washington,” Evans said. Houlahan is running for Democratic nomination in the 6th Congressional district to challenge incumbent Congressman Ryan Costello (R-Chester). Democratic businessman Bob Dettore is also running. LOL SENATOR FLAKE. Glad to see you’re trolling a PA Politics site, seems reasonable. How have they lined their pockets? How did they “pimp” for the Speakers of the House? Your comments brings incineration with no fuel to light a fire. I believe Meehan and Costello are actually a big part of this lowering taxes bill that is coming through the House, so I have no idea what you’re talking about. Anyone who actually thinks its better to have a Socialist in office, is obviously nuts. Your tax cut would turn into a 60% tax on your income, so if that’s what you want, vote away. Why would voters in Chester and Berks County care what two Congressmen from Philly think?? Worthless endorsements! They don’t. Houlahan is like a chicken’s egg with no egg inside. Sure, you see the shell, it looks good, but when you go to crack it you realize it has no contents. Like that egg, Chrissy is an empty shell with no policy positions. She was not in policy academy she was in Ghost. Is she the same lady in Police Academy? A Democrat that is not for single payer is sell-out. If no other Democrat enters in the 6th, I will be voting for a Republican strictly so we can run a real Progressive in two years. DO NOT BE FOOLED. She is a millionaire and probably owes too many favors to be an elected official. PA-6 needs a REAL DEMOCRAT. That has been tried before and it doesn’t work. Even if that is what you believe, then shouldn’t you be mad that she won’t come out against single payer? She announced she won’t even make a choice. How is that possible? It is not what I believe, it is what I know. You mean come out FOR single payer? The real Dems were left behind in Berks County when the 6th comprised just Berks and Schuylkill Cos. The Republican Party appreciates your support. I bet all the players on the Eagles would also endorse Carson, even it you were putting him against someone better. Houlahan is a complete joke. She announced that she won’t take a position on health care? LOL WHAT?! Instead she just blasts out CNN clippings on social media and calls it a campaign. This, like Houlahan’s policy positions, is hardly news and has no substance to it. BTW, Matt Cartwright is a know-nothing with zero talent. At least Boyle is a good guy. Wonder why she didn’t ask for a Brady endorsement?